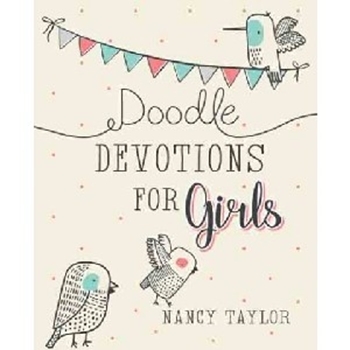 ~Designed to be doodled in, this 60-day devotional for teenage girls offers a practical yet creative way to engage in Godâ€™s Word. 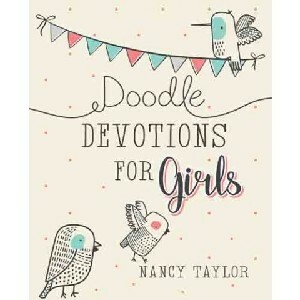 Doodle Devotions for Girls presents 60 inspirational devotions by Nancy Taylor written especially for teenage girls on topics that concern them. Each devotion contains a doodle prompt to help girls get those creative juices flowing as they reflect on what theyâ€™ve learned. As girls read and doodle in this book, they will learn a little about themselves â€“ who they are and who they want to be â€“ and they will learn about God â€“ who He is and who He wants them to be. The great thing is, the more girls discover about God, the more they will understand themselves and the happier they will be with who they are.